HEART TECHNOLOGY - Our original Pauling therapy drink mix. One jar contains a one-month maintenance supply of Tower's famous drink mix containing high dose vitamin C, lysine, proline and other heart healthy nutrients. Shipped to you monthly and automatically charged to your credit card or bank debit card. 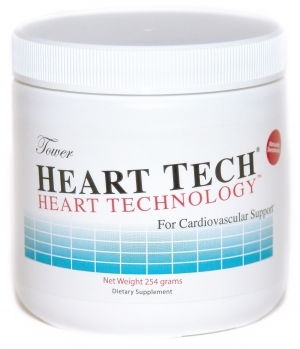 For more complete information about this product before ordering visit our HEART TECH PRODUCT INFORMATION PAGE. AUTOSHIP PROGRAM - Ships monthly. No time requirement. No ongoing monthly charges after cancellation. Prompt discontinuation with 24 hours advance stop notice before scheduled shipment (72 hours on weekends). Before ordering please review our AUTOSHIP PROGRAM GUIDELINES. REQUIRE A DIFFERENT AUTOSHIP SCHEDULE? If you wish for your product to be delivered on a different schedule than monthly, please call us at 702-876-5805 or email us after placing your order and we can easily adjust it to every other month, quarterly, "x" number of jars every "X" number of days, a half case or full case every 3, 6, 9, 12 months, etc. HOW MUCH DO I ORDER? To receive the Linus Pauling-recommended therapeutic levels of ascorbic acid and lysine for established cardiovascular disease select 2 jars (up to 150 pounds) or 3 jars (greater than 150 pounds) monthly for at least 9-12 months. If weight is greater than 225 pounds consider 3 jars monthly and add additional plain ascorbic acid to bowel tolerance for 9-12 months. 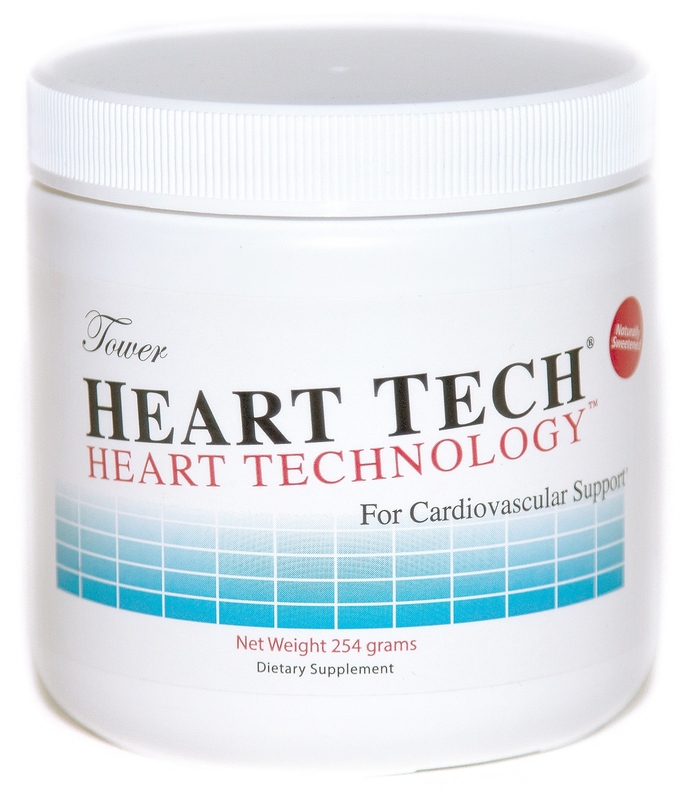 SUPPLEMENT FACTS: One jar of HeartTech contains 30 servings (serving size is 2 scoops daily in divided doses morning and night and scoop is included in jar) of Tower's famous powdered drink mix. Each serving (two scoops) contains: Vitamin C as L-Ascorbic Acid 3000 mg, L-Lysine 3000 mg, L-Proline 400 mg, Vitamin A 5000 IU, Vitamin E 422 IU, Vitamin B2 3 mg, L-Arginine 200 mg, Vitamin B6 25 mg, Folic Acid 400 mcg, and Stevia less than 100 mg.